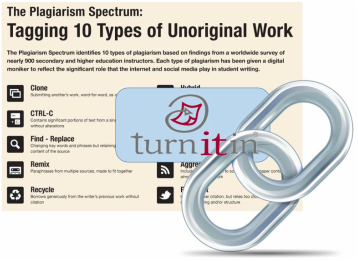 Just how well do you know plagiarism? Take this Quiz to find out! It is sometimes difficult to know when you are and are not plagiarizing. Plagiarizing is when you use someone's ideas or words and pass them off as your own. There are some common mistakes that you can be sure to watch out for and avoid by checking this resource before you turn in your work. How do I cite a source? Citing a source is really a pretty simple concept. It is giving credit where credit is due. All you do is keep track of a few pieces of information about each source you use. Then, you organize it in a specific way. There are two main ways to organize your source information. They are called APA and MLA. 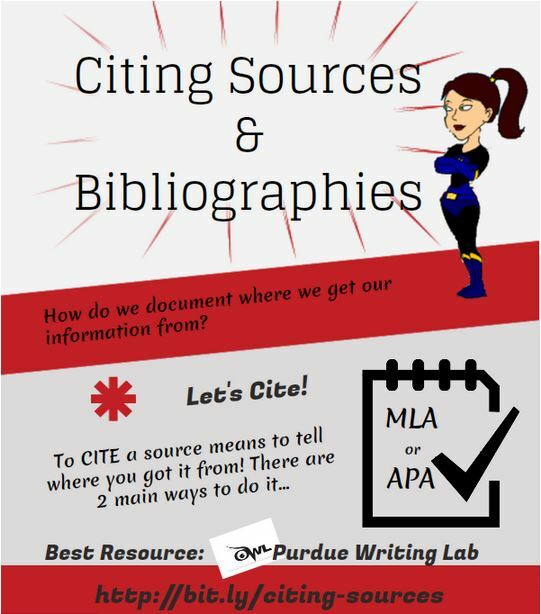 There no need to memorize the format for any of the types of sources because you can always refer to this resource for help. The goal is to get as much information as is possible for each citation. The reality is that it will not all be there sometimes, so just get as much as you can. A bibliography is just a list of all the citations for a project. 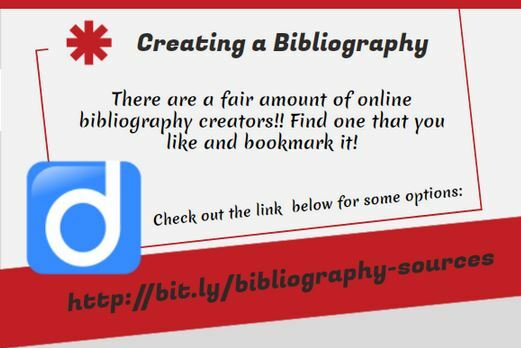 There are quite a few websites that will make your bibliographies for you and format your citations as well. You can also easily create a QR Code that will hold all your bibliography information without taking up space in your presentation or project. See the above link for links to QR code generators. What is the scoop on QR Codes?